Acronym for Ufology Society International, usually pronounced as the sound of each individual letter, as in "yoo-ess-aye", was founded in 1989 by J. Randall Murphy and Patricia Robertson in Calgary Canada for the purpose of providing easy access to UFO related information, and over the long term, to help establish the truth regarding alien visitation to planet Earth. Before the Internet was commonplace, USI attracted members by posting ads in FAPIA ( Free Ads Paper International Association ). Then in the early 1990s, USI registered www.ufology.com and membership quickly grew to about 2000 members in 22 countries. Unfortunately, Network Solutions sent USI's domain name renewal form to the wrong address. In those days there was no grace period for renewals and by the time USI received it, domain name predators had closed in and snapped up USI's dot-com domain name. Shortly after that, USI suffered a computer crash that destroyed its member database. Somewhat cryptically, both of these incidents happened within a few weeks of being contacted by an unknown group claiming that they would be willing to share secret UFO related information on the condition that USI shut down its website. Undeterred by these early setbacks, USI continued to evolve and has become one of the Internet's most persistent and better quality ufology websites. Our articles aim is to illuminate the truth by presenting accurate, objective, and verifiable information that can be enjoyed by all our visitors. To achieve this goal, content from multiple sources is distilled into concise articles for a general audience. This methodology greatly contributes to accuracy and economy because the process of cross referencing and verification also serves to eliminate redundant data. Typical resource material includes encyclopedias ( both wiki and dedicated ), hard science and history books, skeptical journals and articles ( e.g. Skeptcal Inquirer ), government archives, and the works of conservative writers in the field of ufology. If information cannot be cross referenced against objective sources and there is serious doubt to its veracity, then the information is not presented as fact, but as a myth, opinion or personal experience depending on context. Fringe topics are used mainly to relay information about such topics rather than as a means of verifying contentious data. Another feature that contributes to the overall quality of content is that unlike blogs, forums or wikis, especially ones that use syndicated feeds for automated content, all content is reviewed by the USI website Editor prior to publication. Given these factors, the USI website consistently provides the most trustworthy UFO related information available. The items in our catalog should not be presumed to be an endorsement of any particular theory or author unless it is specifically stated within the associated article. To specifically address the concerns of skeptics, this website's author believes that the best defense against misinformation is to be better informed, and that requires access to all the relevant information. At no time does being better informed require any specific belief about the information. Those interested in ufology are also encouraged to acquire the various scientific and skeptical publications that are included in our online catalog. USI is unaware of any evidence that scientifically proves the material existence of alien craft. However the prevailing view is that the original Estimate Of The Situation reached by Project Sign is accurate to the extent that the objects in some UFO reports are alien to human civilization and probably extraterrestrial in origin. Whenever possible USI advocates the use of science and critical thinking to examine the available evidence and analyze the information. However this in no way implies that ufology should be considered a science unto itself. The scope of ufology is simply too wide for the scientific method to be applied to every aspect of the field, particularly its associated mythology and culture. Individual members are not required to agree with the prevailing view and are encouraged to explore their own beliefs and the work done by others. When doing so, healthy skepticism is encouraged, particularly with respect to claims made by abductees and contactees. However healthy skepticism does not mean arbitrarily ruling out the reality of the abduction experience. Something much stranger than mere fabrication, confabulation or sleep paralysis seems to be going on. Additionally, the overwhelming nature of an encounter of the fourth or fifth kind may induce a blind acceptance that the information being imparted is true, when in reality it is something entirely different. Consequently, although some experiences may be real, nothing about them should be taken at face value. USI believes that information about the UFO phenomenon should be easily accessible and as inexpensive as possible. Therefore USI has always been completely free to join and there are no membership dues or other financial obligations. Unlike MUFON, the only membership requirement is a genuine and constructive interest in the UFO phenomenon. You can never lose your membership or cease to be recognized as a member for not paying dues. 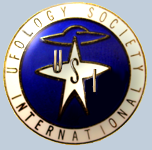 USI also allows completely free access to all its website content and offers member discounts for many privately sold ufology related items of interest. All member information remains confidential and is not shared, sold or distributed in any way shape or form unless authorized by the membership holder. You can join USI here. USI operates as an informal network. Unlike registered charities, informal networks are not required to reveal member information to the government. They are also immune to political corruption and infighting because there is no board of directors that can be infiltrated and no structure to dissolve. What happened to NICAP and APRO simply can not happen to USI. All members are free to choose their own depth and style of involvement without fear of compromising their privacy or losing their membership if they don't keep paying. Member information remains confidential and is not shared, sold, distributed or used for commercial purposes. Sharing of membership information can only be authorized by the membership holder. Members may pre-authorize the release of their contact information for networking purposes. Pre-authorization is usually done when memberships are processed, but can also be done by contacting USI in writing via email. Members without pre-authorized contact will have requests for contact forwarded to them. Although informal networks like USI offer greater privacy, donations made to them are not tax deductible unless they are used for promotional purposes such as advertising. To accommodate this, USI offers a unique combination of banner, search feature, and link exchange advertising. For more details on how to get your banner or exchange link please visit our advertising page. We also joined Amazon's associate program. Visitors can now choose from an attractive selection of hand-picked ufology related products, including books, videos and equipment; all without leaving the USI website. For items not listed on our website, visitors can click through to Amazon and buy it there. So far, the Amazon program has generated no revenue for USI, but any funds raised will be used for promoting awareness, investigating sightings, maintaining the USI website, and building a more effective member network. The primary monetary support for USI comes from its founder J.R. Murphy who earns a modest living building websites and doing PC repair in the Calgary area. Donations are also gratefully accepted. For more information or to contact USI use our Contact Info link below. The email link below needs a resident email program ( e.g. Outlook, Eudora, Windows Mail ) to work properly. Webmail programs like Gmail or Hotmail will require that you input the subject and USI email address manually. For reasons of security and privacy, direct contact information is provided to registered and verified members only. Email is usually processed within 48 hours.